Seaside shows always provide a very different atmosphere to the more common land based events. Being able to watch these displays from the comfort of a beach certainly makes for a relaxed atmosphere, though close viewing of the acts is rarely an option. A welcome appearance by the Breitling Wingwalkers opened up the show. However I always try and make the effort to attend Eastbourne each year as the seaside shows seem to have a habit of attracting some different acts from on the continent. 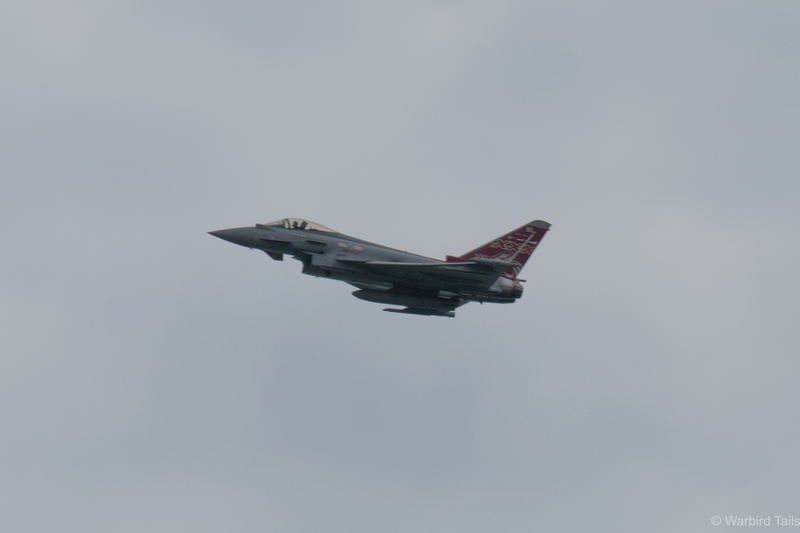 Of course it’s always nice to see some of the UKs finest warbirds displaying over the sea as well. Words often can’t describe the spectacle that is the RAF Chinook demo. This years show followed a similar pattern, though the Sunday event featured a few less acts and was missing the headline act of Saturday, the Vulcan. The show did feature a number of great acts however. The Breitling Wingwalkers team started the show off, this was the first time I had seen the team this year so it was good to see this usually commonplace act again. 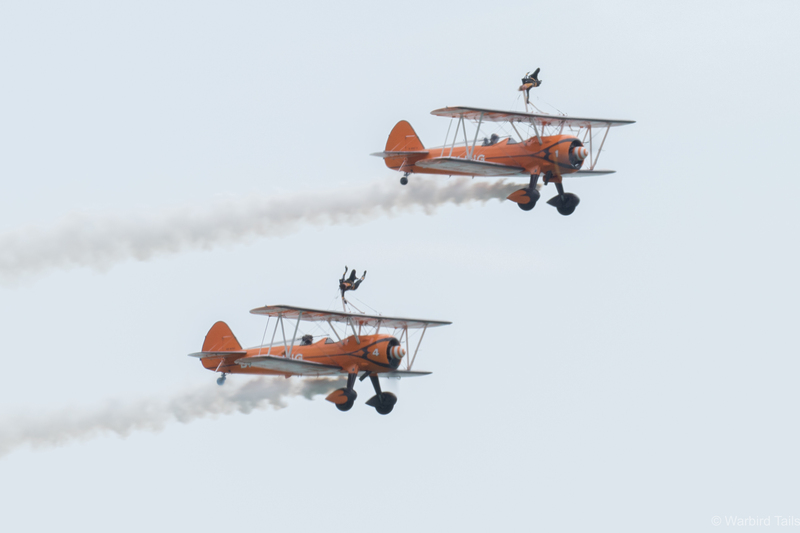 The team’s Stearmans always make a great spectacle at seaside shows with the combination of the growl of their supersonic propellors and use of the closer display line. The display Typhoon running in during its display. 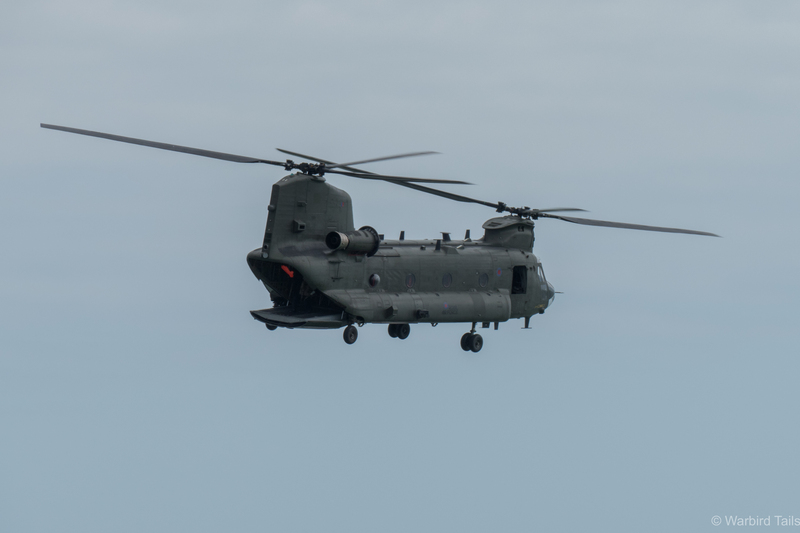 The RAF were well represented by the Chinook team, doing things a helicopter really shouldn’t do along with the Typhoon and Tutor, both of which put on excellent displays in very different ways! The other RAF assets on display came in the form of the Falcons parachute team along with the Hawk T2 role demo, with a pair of the new Hawks tearing around the seafront, though without the pyrotechnics seen at the inland shows. Patrouille Reva were a surprise highlight. Aerobatic teams were plentiful too with performances from the RV8tors, the Blades and of course, the public’s favourite the Red Arrows. There was one other formation team over from Europe which was a first for me; Patrouille Reva who fly a three ship aerobatic display in Rutan EZs. The futuristic look of these machines has always interested me and watching them perform formation aerobatics is a great treat. The Blenheim swooping over the channel. Eastbourne always manages to attract a great selection of vintage acts as well and this year we saw an excellent display from John Romain in the Blenheim as the star act. 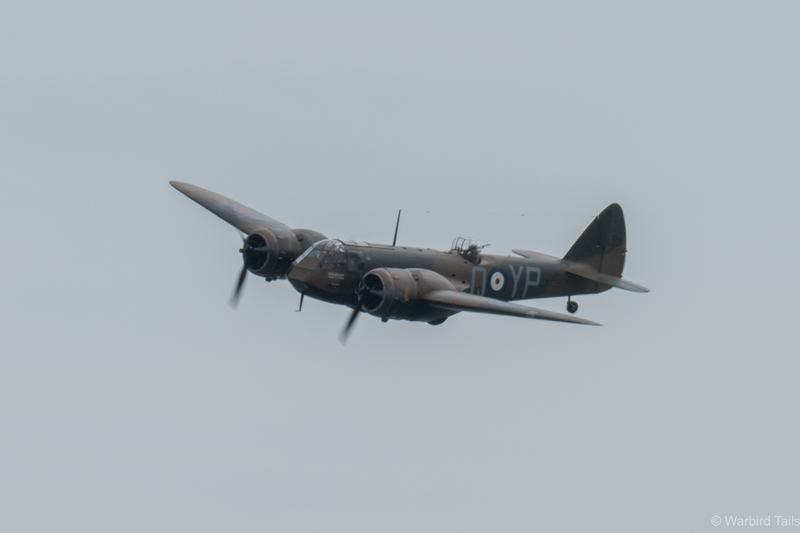 The Blenheim has been a star wherever it has gone this year and watching this early war fighter perform over the sea was a wonderful sight to behold. Brian Smith dives in during his solo routine in Ferocious Frankie. 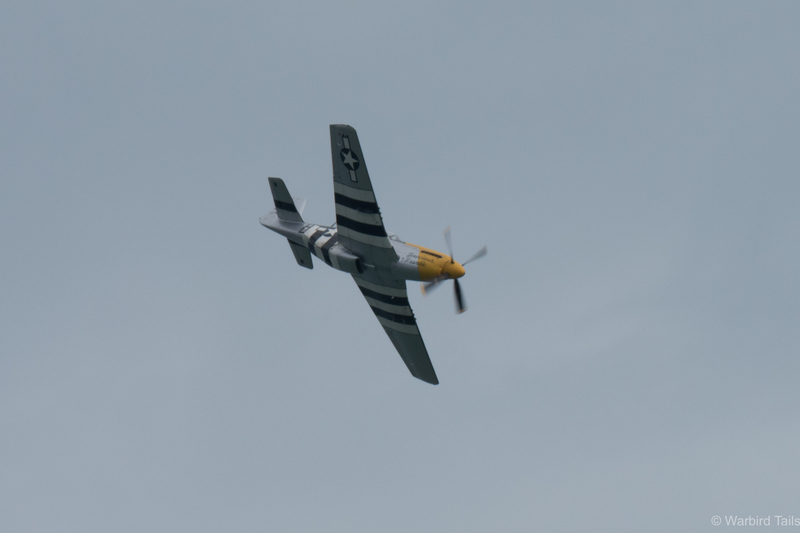 Other warbird action came in the form of a flowing Mustang solo from Brian Smith and John Romain returning in the ARCo Spitfire T IX. 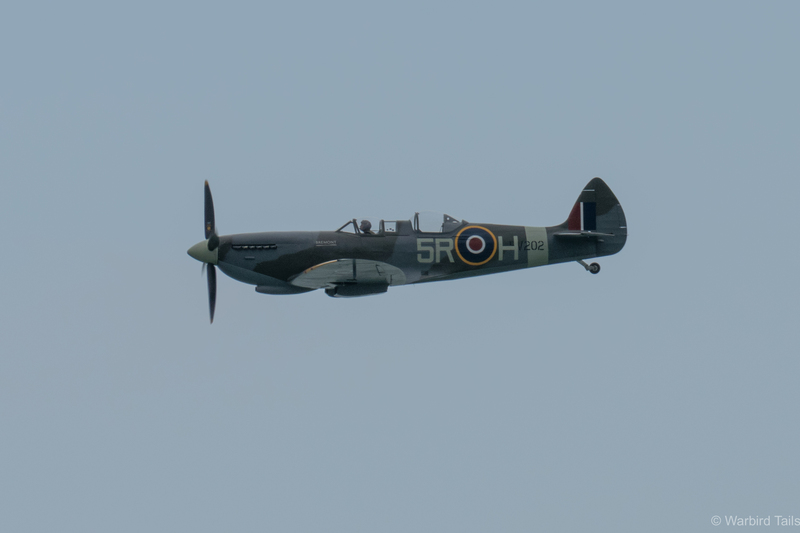 The BBMF also provided a Spitfire and Hurricane pair. John Romain puts Spitfire T IX PV202 through its paces. The Norwegian Historical Squadron provided three aircraft for the flying display, with their Mig 15 displaying first in a graceful aerobatic display above the sea. 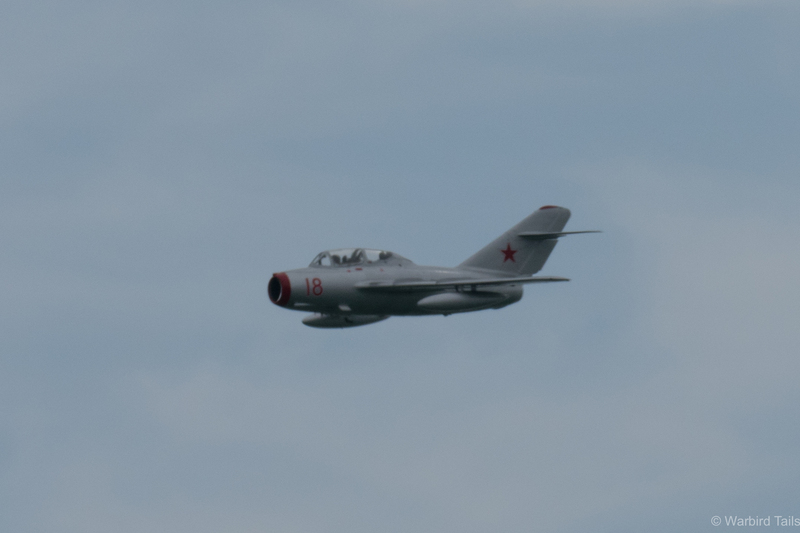 This was my first time seeing a Mig in the flesh and was surprised how quiet it was and how tiny it looked against the sky. 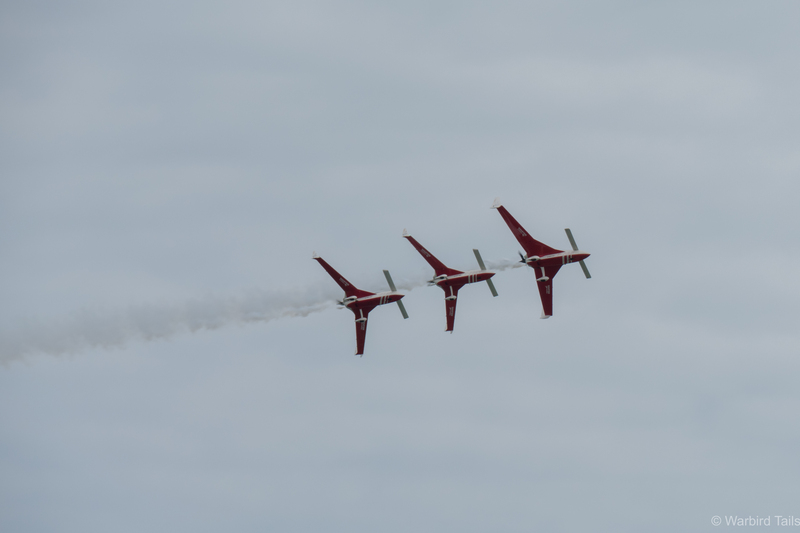 The flight returned later on with their Vampire pair which performed some close formation aerobatics. It is always a pleasure to see these classic jets displaying in this country. 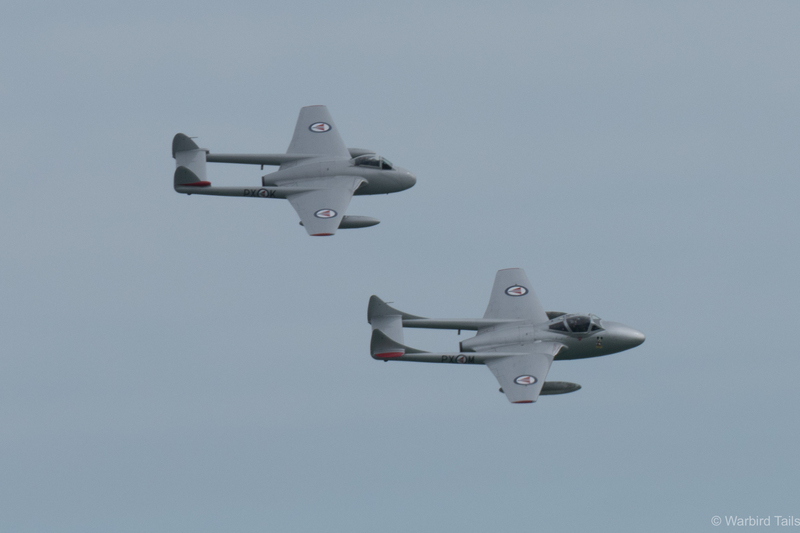 The graceful sight of a pair of de Havilland’s finest – The Norwegian Vampires. While seaside shows lack many features that make over-land shows so entertaining they do have a unique quality and a habit of attracting something different. Eastbourne 2015 was a great show and its well worth pointing out that this is all put on for free! There is always something amazing about sunshine, a beach and an airshow, a great day!